This module for apprentice-level characters is 29 pages long, 1 page front cover, 1 page editorial,1 page SRD, leaving us with 26 pages of content, so let’s take a look, shall we? Still here? All right, since this pdf uses the apprentice-level rules for 0-level characters by Tricky Owlbear Publishing, the PCs unsurprisingly haven’t seen much action – in fact, none – until one fateful day, the local dwarven woodcutter and huntsman Hargroth wants to take them on a fieldtrip from their idyllic, remote village of Wood’s Edge. The basic village comes with a full statblock and quite detailed pieces of information on all notable NPCs of the town – nice amount of detail there! Now Hargroth has promised the PCs he’d take them to the Crystal Falls – and on the way there, they’ll be glad the old dwarven ranger takes some healing potions along on the way – after all, the very first encounter already pits the PCs versus 2 wolves. While with Hargroth, the PCs probably won’t get lost in the woods, there still is a random encounter table and information should the PCs run off on their own. Beyond the addition of capability, the inclusion of Hargroth is smart since it allows the DM to actually guide the PCs through the module without being too imposing as an out-game entity. In order to reach the falls, though, the PCs will have to follow Hargroth into the caves, where they’ll arrive at day 3 of their trip into the wild: There, a carcass of a kobold and a sudden attack is enough to break the old dwarf, who confesses, amidst sobbing, how he is a fraud and only survived his only adventure by hiding in the healing crystal falls while his brethren were slaughtered. It gets worse, though – beyond a viper nest, Hargroth actually breaks through a wooden plank and falls to his (almost) demise – severely wounded, the PCs have to stabilize the old dwarf and actually carry him to the healing falls – the thing is, the area is now home to a couple of kobolds. Beyond these menaces, they’ll have to answer a riddle (with a nice visual hand-out representation) and then finally manage to heal the old dwarf. When a ghostly knight appears and Hargroth takes up the mantle of guardian of the healing falls, becoming a spectral, immortal guardian – and providing some starting equipment for the character’s careers as future adventurers, ending with a bitter-sweet note. Editing and formatting are ok, though I did notice a couple of typos while reading the module. Layout adheres to a beautiful, parchment-style two-column standard, but unfortunately does not provide a more printer-friendly alternative. The handouts provided would have been nice on a collated page in the end. Cartography is serviceable and does its job, though no player-friendly maps are provided. More significantly, the pdf comes with a baffling lack of bookmarks that make navigating the pdf a tad bit more complex than it ought to be. Artworks are mostly fitting stock – no complaints here. Marc Radle knows how to write modules – and he keeps it down-to-earth and personal for this one – which serves in its advantage. I get that one can’t weave epic yarns at this level and by keeping things personal, tragic even, a compelling narrative can be told. That can be said on the positive side. On the downside, the 0-level approach also requires a certain amount of guidance to prevent the deaths of the fragile PCs and while Hargroth helps in that regard, the module still is rather linear. The one crucial flaw the module has beyond that is, though, that the characters at one point need to carry a significant burden, the exact weight of which is absent- and especially with new characters/inexperienced players, that is a problem. DCs to get this burden up an obstacle, carry it around etc. would have greatly helped here. It is due to the accumulated issues like the lack of bookmarks and this rather crucial hole that make me settle for a final verdict of 3 stars – a solid offering, though not a perfect one. 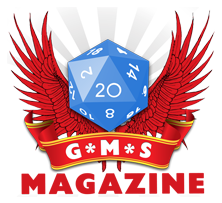 You can get this 0-level module here on OBS and here on d20pfsrd.com’s shop!